The technical specs for the Porsche Taycan have been confirmed and they are the stuff of Elon Musk’s nightmares. With more than 600 hp and a 310-mile range, the Taycan is serious competition for Tesla’s Model S.
The race is on to create the best all electric vehicle in the luxury segment and it looks like the 2020 Porsche Taycan just stepped into first place. Porsche confirmed specs for the upcoming Taycan model that is set to be released next year. The affirmed specs of the Taycan include an engine capable of producing more than 600 horsepower, two permanently synchronous motors distributing power through all four wheels, charging capacities up to 22kW and direct current (DC) charging that has a charging capacity of 350 kW. Moving from 0 to 60 mph in less than 3.5 seconds and easily passing 124 mph in less than 12 seconds, the Taycan will deliver a driving experience worthy of adorning the Porsche crest. Porsche has managed to create a thrilling encounter behind the wheel without falling victim to the Achilles’ heel of most electric vehicles—the driving range. Porsche has now moved onto putting Taycan protypes to the test, exposing the vehicles to our world’s harshest climates and conditions. A team of 40 specialists are in the process of testing the limits of the Taycan as we speak. Porsche has also released their production plans for the model. The German auto manufacturer expects to introduce 20,000 models into the market per year, which represents about two-thirds of 911 production. Considering the current market demand for electric vehicles of this caliber theproduction estimate seems a bit modest. We will see how far 20,000 models goes when distributed across all world markets. Most demand for the Taycan is expected to come from the U.S., China and Western Europe. For those who haven’t been obsessively researching the Taycan, here is some automotive knowledge to catch you up to speed. The vehicle formerly named Mission E, has received to official production name of Taycan. Same research and develop, just a new name which is pronounced “tie-kahn”. The Taycan has a similar pronunciation to its crossover SUV sibling, the Macan. 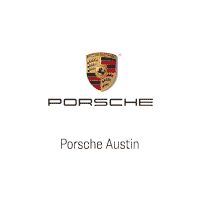 Porsche seems to have a talent for selecting names that leave many Americans scratching their heads. We already covered that the Taycan will have two electric motors but we didn’t discuss the placement. One motor will be placed in the front of the vehicle and the more powerful motor will reside in the rear. These motors will also serve as part of the car’s brake system in tandem with traditional disc brakes. The Porsche Taycan will be able to charge wicked fast. Porsche says that the Taycan will be able to juice up to 80 percent in as little as 15 minutes with an 800-volt charger. That means that after a 15-minute charge, the Taycan will be able to travel 250 miles. Of course, Porsche couldn’t settle for the silence of electric vehicles so the Taycan will come with its own automated engine sound. We can expect some sort of artificial sound that will not only be audible from the inside but also outside. It wouldn’t be a true Porsche if the vehicle didn’t grab the attention of your eyes and ears. We can also expect to see a Cross Turismo version of the Taycan in the future. Porsche has confirmed that the Taycan will have a wagon-like crossover version added to the model line. This model variation was premiered by the Mission E Cross Turismo concept. The only other piece of information many are clamoring for is price. Porsche has yet to release the MSRP for the Taycan, leaving many to wondering this model can fiscally fit into their future. If money is no object go ahead apply to reserve your Taycan. Pre-orders are now open which you can access here.